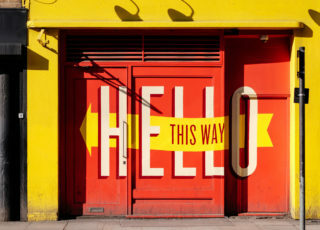 Throughout the years, anytime someone reaches me with the intention to create a website, a question always comes up: “Should I have a customized website, or should I go with a template?”. Well, what’s the big difference after all? 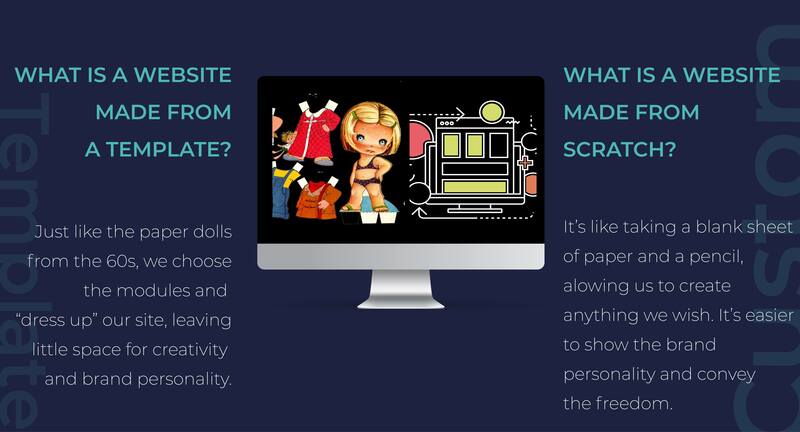 From my point of view, having a customized website is like designing a doll with no shape, clothes or color restrictions – you get to create any doll at your taste and criteria. On the other side, building a website on a template is like having one of those paper dolls with a basic shape, in which you can only cut and place on top some pre-made pieces. Of course, there is more to say about the difference between creating a website from scratch and using a template. 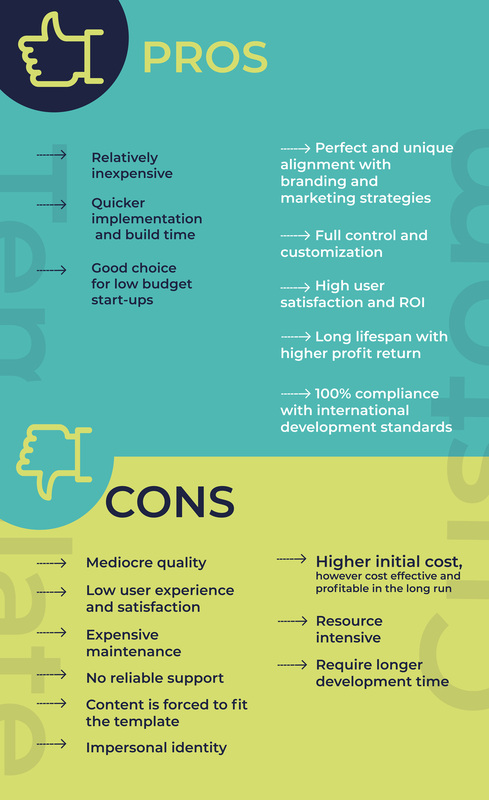 Each of them has their pros and cons and in most cases making the decision to go with a customized solution, it’s not an easy task. That is why it is important to understand the real differences between the two options. The first step when creating a website is to think about its structure and build a mock-up. Before the actual development, all websites start with the construction of a mock-up, so the client can have a real perception of what the final product will look and act like. That’s a common step to both models. However, in a customized solution, the whole team and client will be more involved. 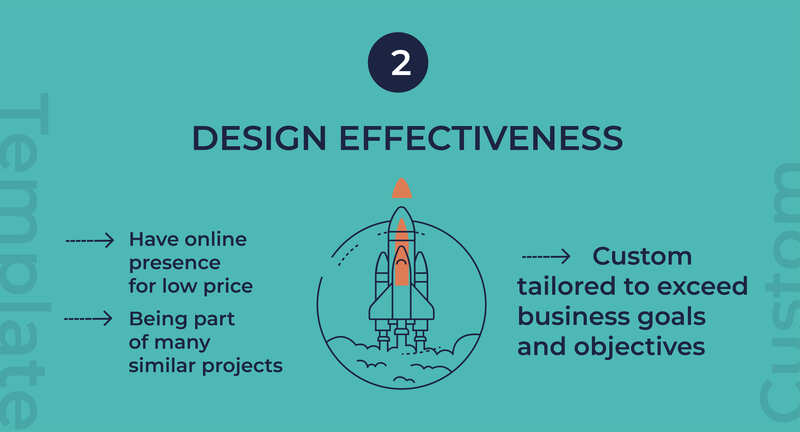 The creative process will be adapted to the target audience we pretend to reach, it will have all the features and attend to all usability criteria we aim for, and it will be completely made to the image of the client’s brand. While a website made from scratch will allow you to freely reflect your brand’s essence, a template won’t give you that freedom. Although you can personalize content and move some stuff around, chances are someone will have a similar website to yours since they’re using the same base as you are. Needless to say: original design is limited in a template. Another relevant point to consider when making this decision is the security and possible expansion. A website made from scratch is not only completely customized but also much safer than a not so customizable solution. In a customized solution, it is possible to add features, make any kind of integrations and allow its expansion without damaging the structure and core base. On the other hand, a template-based website is very limited in its customization, expansion, and growth. Any change you want to make can alter the structure, creating problems that can take you hours and hours to solve. This makes the site much more vulnerable to hackers. It not only may cost more in the future, but it will also affect the security of your website. One of the main reasons people go for a template it the price: at first sight, it looks like a smaller investment. However, it only requires greater maintenance, but it also has a shorter lifetime. 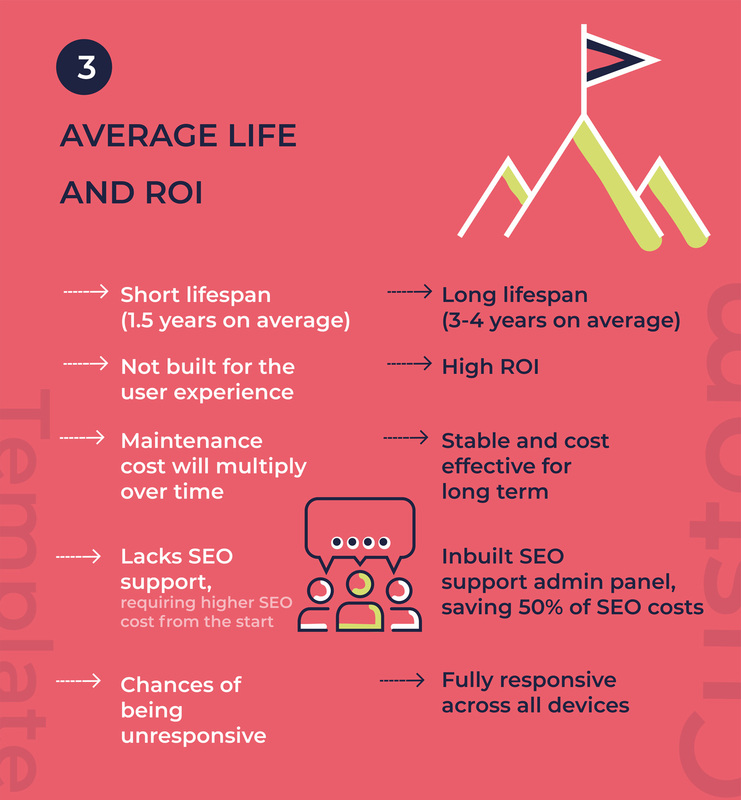 Usually, it is necessary to re-build a template-based website after a year and a half, while a customized one has, on average, 3 to 4 years of lifetime. Why does this happen though? For starters, a template-based site requires constant updates and configurations that may cause damage visible to users. Also, a template does not consider user experience of a specific target. This means clients and users will see the website become slower and even notice a few mistakes and limitations over time, that cannot be solved. It becomes obsolete in a very short time. In a customized site, these updates don’t happen so often and can be easily fixed. When made from scratch, the stability of the structure increases, which in the end requires lower maintenance effort. This results in a greater durability. Another great difference is responsive. Using a template, you simply cannot guaranty 100% responsiveness. In a customized website you can. This scenario can happen with other features too. Last but not least, you should consider SEO. In a template, you are limited to the SEO options it gives originally. A website made from scratch, since it optimized by the developer in the creation, allows Google and other search engines to consider it more relevant. Pros: When we use a template, the biggest advantage is the lower initial investment – building on a template is cheaper at the beginning. It also grants a faster implantation and construction. It is a good solution for small budgets. Cons: no matter what, its construction will always be mediocre due to the restrictions of the template. Besides, it is not made for a specific audience and that will be noticed in the user experience. The content will have to be adapted to the template and that will make it harder to show the brand’s identity. In the end, this solution will represent greater maintenance and support. Pros: the website can grow alongside the business itself. Instead of a cyclic renewal, all budget for the future will be dedicated to new answers and features, allowing the business to innovate and keep with market changes. It will also increase the website lifetime and reduce maintenance needs. Cons: customized solutions tend to take longer to build, since everything is made to respond to specific need and criteria, totally aligned with the strategy and branding of the client. However, I believe this will allow total control and evolution in the future. Because of this, a greater investment is required. In conclusion, even though a template-based website has a lower initial investment, a customized will for sure represent a greater return on investment in the future. What comes first in a project, copy or design?